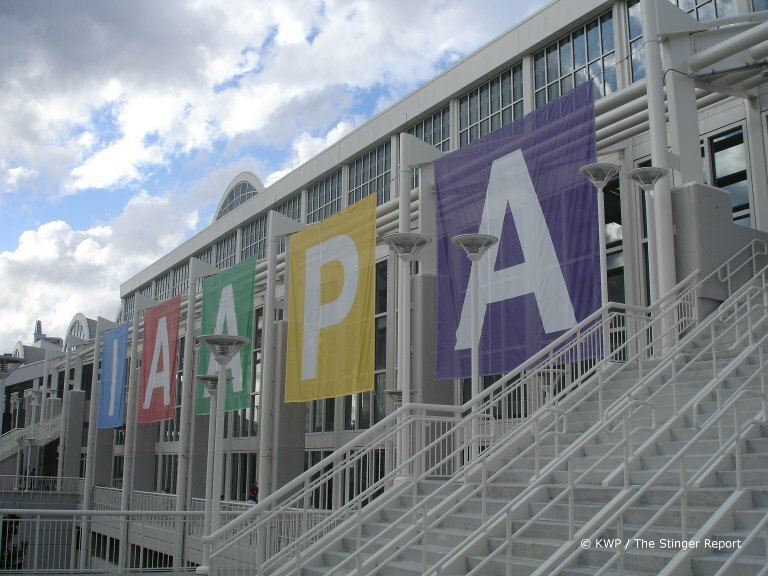 Here’s the next batch of videos of different things from IAAPA, hope you enjoy it. This is the last collection of my videos I shot but there could be more I end up posting from others. I actually shot a few more than this but when I checked my camera later they were either corrupt or lost. As such I am lacking a few videos of things at the show but I will be following up with another picture post here soon to hopefully make up for it. Apologies in advance for rough sound on a couple of them as well. For the index, here are the games you’ll find below: Let’s Go Island 3D, Bejeweled, Flight Control FX, Love Touch, Project X-Pher, Storm Racer, Power Truck. All videos can be seen up to 720p. A couple from Sega for starters – Let’s Go Island 3D and Bejeweled. Let’s Go Island is the same game aside from the 3D aspect of it all – the Free3D technique, which uses the non-glasses 3D TV we’ve talked about. The screen looks a little grainy and you have to move around to get the right effect but you can shut off the 2D if it bothers you. There is supposed to be some wind effects according to the side but they were not incorporated into the two cabinets there for some reason. Bejeweled – The new videmption game from Sega was up at the front of the booth and was constantly being played. The game itself is Bejeweled so it’s fun. Adrenaline Amusements – Flight Control FX/Infinity Blade FX/Fruit Ninja FX – Two of the latest new developments for the multi-touch coin-op platforms were there. We had already seen Infinity Blade but this was the first time I had some hands-on time with Flight Control FX which was labelled as shipping now. It’s a fun game, albeit simple. InJoy Motion – They had a sizable booth setup with a variety of games including the new Love Touch, Project X-Pher and Dido Kart 2 titles. Love Touch is a rhythm game with a dress-up idol feature at the beginning. It’s still in the prototype stage for the US, although it’s available in Asia. Project X-Pher is in the same vein as games like Deadstorm Pirates or Let’s Go Island but with a sci-fi theme. They also had an old game dressed up in a new cabinet, Panzer Elite Action and a new Multi-Game cabinet that features Dido Kart and Street Racing Stars in one. A couple of surprises we came across were Storm Racer & Power Truck. They were good surprises fortunately, coming from a Chinese developer in the case of Storm Racer and a Taiwanese one with Power Truck. Both games are being brought to the US through Betson and they were at their booth to show off. Storm Racer is a sleek looking title, Kevin Williams says it reminds him of Ridge Racer. In the case of Power Truck, I really liked it, as it has a strong subwoofer system and multiple modes of play. I particularly was fond of the Chase mode where you try to bash as many buses on the highway as possible in the time limit. Here’s something a tad different by Daniels Woodland Inc. They produce these elaborate, well-detailed animatronic shooting galleries you’ll see below. They are expensive but pretty cool. I hope to have one last Picture collection post ready tomorrow or Monday, stay tuned.